For those interested in becoming an accredited CB or earning ANSI/LEO-4000 certification as a producer or chain of custody user, Leonardo Academy will host live and on-demand webinar training. The first webinar is scheduled to take place on Tuesday, March 21st at 2 p.m. CST. This two-hour webinar provides a comprehensive introduction to the standard and is free to attend. CBs may request an application to participate in the pilot program by emailing Leonardo Academy at agstandard@leonardoacademy.org or by contacting the following ANSI contacts: Reinaldo Figueiredo (rfigueir@ansi.org; 202.331.3611), ANSI senior program director for product and process accreditation, or Elizabeth Okutuga (EOkutuga@ansi.org; 202.331.3627), ANSI program coordinator for ANSI's product certification accreditation program. If you have questions or would like more information, please email agstandard@leonardoacademy.org. 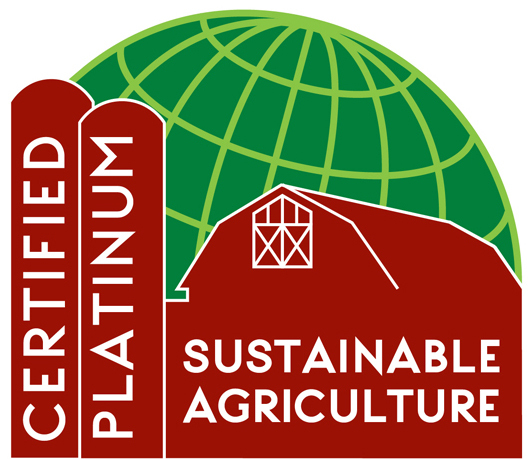 The American National Standards Institute was selected by Leonardo Academy, a nonprofit organization and standards developer dedicated to leveraging the competitive market to improve the environment and advance sustainability, to accredit Certification Bodies (CBs) that intend to operate certification programs in accordance with the ANSI/LEO-4000, American National Standard for Sustainable Agriculture. ANSI is the entity conducting the Pilot CB Accreditation Program. ANSI/LEO-4000 is a comprehensive sustainable agriculture standard that empowers the entire agricultural supply chain, from producers to consumers, to decisively advance the sustainability of agricultural productions. It provides a metric and a mechanism to clearly communicate environmental, social, and economic sustainability achievements throughout the supply chain. It also provides buyers and sellers with reliable benchmarking through four levels of certification (bronze through platinum), and a certification structure that encourages continuous improvement strategies. Third-party verification by Accredited Certification Bodies (CBs) ensures quality assurance. CBs assess performance under the standard's requirements and continually monitor adherence to the standard. The main purpose of these procedures is to assure credible, consistent, and reliable implementation of this standard and of the communication of achievements through a third-party accredited oversight process.